Recently I got access to Netflix (courtesy of one of my friend) and I was propelled towards the sunshine it threw at me. I was caught off guard by the sheer content of Netflix, especially after I had used Amazon’s Prime for quite some time. While I still think Netflix’s subscription plan of Rs 800 per month is a wee too much in Indian context (compared to Rs 999 for Amazon Prime) we can get around that by sharing it with friends. So as of now lets talk about the shows that I watched in a month and my views about it. I happened to start my Netflix affliction with Black Mirror and I was in for a ride. Perfect mixture of Sci Fi, thriller and a bit of horror that this show comes with, some of the episode were just simply crazy. This show is a collection of episodes totally different from each other. While it’s an anthology series, there are theories that they are somehow in a shared “not so far future” universe. The show tries to predict life as it could be, with the evolution of technology. Spoiler Alert, it’s not pretty. The show is dark and almost all episodes ends in a grim way. This show ain’t for the faint of heart and poses more questions then it answers. But it’s painfully beautiful. 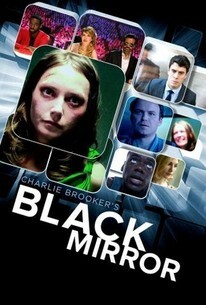 The Christmas special episode “White Christmas” is a pinnacle of Black Mirror at it’s finest. Needless to say, I would need to pay some of the episodes, a rewatch. I was introduced to this show by my colleague. Yet another Netflix’s original series, the show is a good watch for taking a break from grim shows like Black Mirror, while retaining the thrill that came with it. Without delving into details, the show is a great if you can dig the 1980’s era it portrayed. 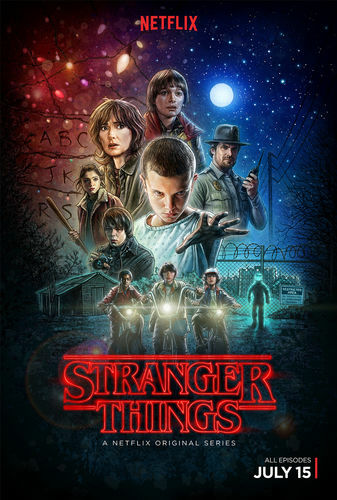 It might also be nostalgic to you, for the lead characters in the show are 4 little children, best friends playing some of the classic 1980s games like D&D and taking a hike on bikes. While I didn’t play D&D, the friendship between the 4 friends portrays a chemistry, not easy to stop yourself from falling in. Add to it “monsters form the dark”, and things get spicy very quickly. scheme of things in Rick’s universe is everything and nothing at the same time. You tend to feel nothing is of consequence in one episode while the next makes you question reality. 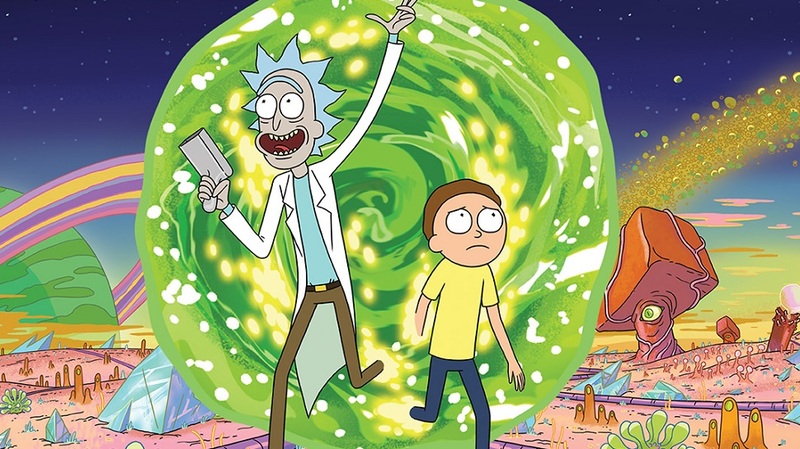 Rick and Morty is a show that can make you laugh, gives you an existential crisis, makes you care about its characters, while provide you an underlying story slowly building between episodes. One episode in season 3 especially, made me feel like I watched an entire movie in the span of 20 minutes. So I can safely say that the show did have an impact on me, provided I had to get past the initial few episodes of first season, where it felt quite intimidating. Here is the list of shows that I have found to be interesting on Netflix (watched and planning to watch), including direct links to them for reference and documentation. Note that the links will only open if you are signed out of Netflix or if you have a working subscription. I have also written my comments on few of them. Sense 8 : It’s from the makers of Matrix. It was bound to be on my list. Altered Carbon: It’s a Blade Runner-esque styled thriller. Slow in pace in start, but takes you on a ride to solve a murder mystery, thousands of years in the future. I loved the movie version of it enough to keep this series based on the movie in my list. As a bonus, the Count Olaf is played by Neil Patrick Harris from How I Met Your Mother! Whoa! Travelers : I am simple man. I see Time Travel, I add it to my list. Marvel’s Daredevil : A blind superhero from DC comics. I need to watch this. Marvel’s Jessica Jones : The show is very dark (should simply be termed Netflix style). Female with some super abilities and a psychological villain. This show is great. Stranger Things : Already explained above. Genius : A friend told me about this show. Couldn’t pass on series based on conflicts between scientists like Edison vs Tesla! Black Mirror : Already explained above. Rick and Morty : Already explained above. How the Universe Works : I am a sucker when it comes to things related to Cosmos! I would be updating this list with synopses for the shows that I complete watching.